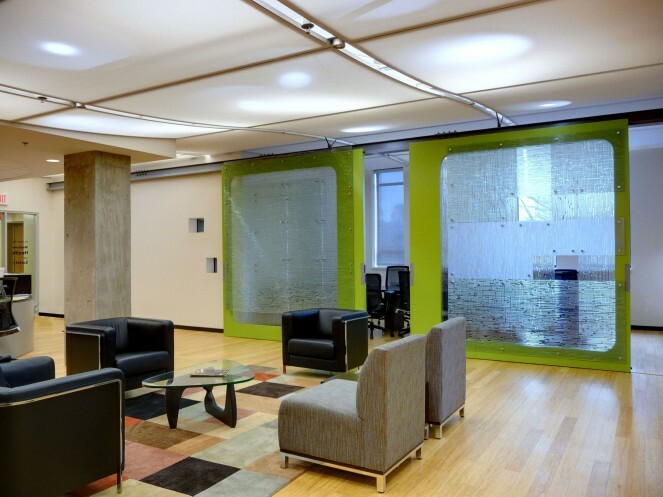 Interior renovation of a campus building for a new academic and research department. A translucent fabric ceiling illuminates and shapes the space while concealing ductwork and piping. 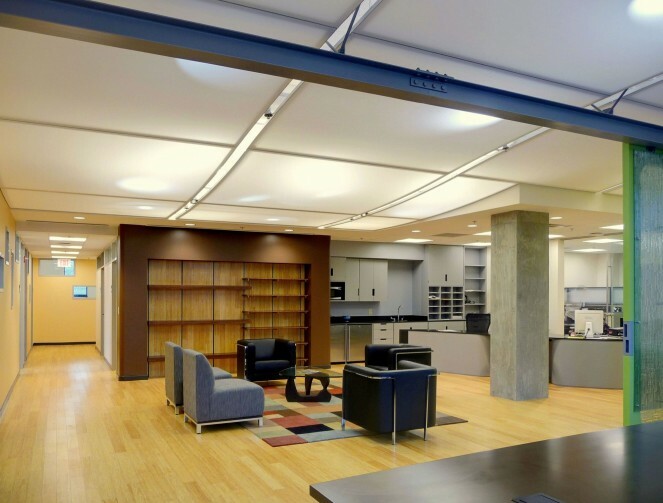 Built-in shelving for faculty publications provides a focal point for the seating area. 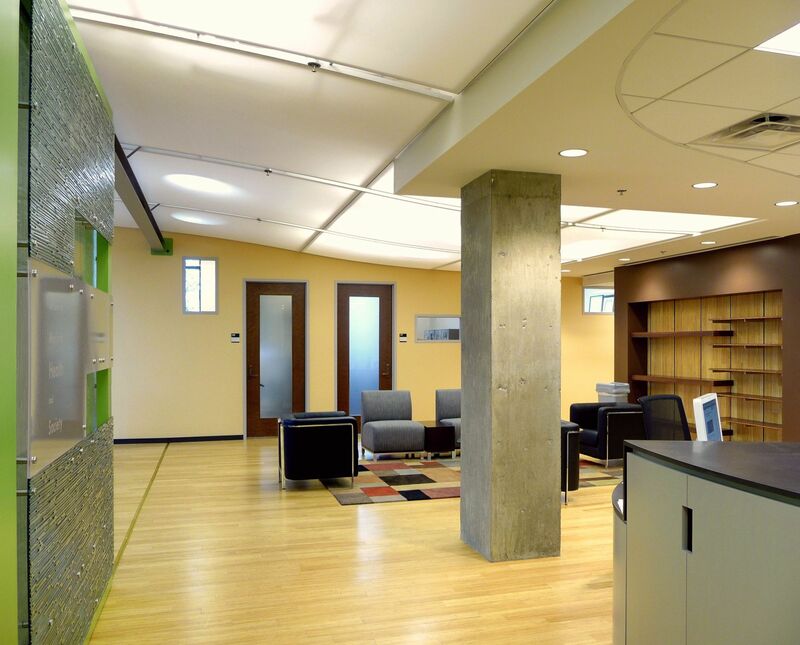 Graduate student work stations are arranged along a curved counter. 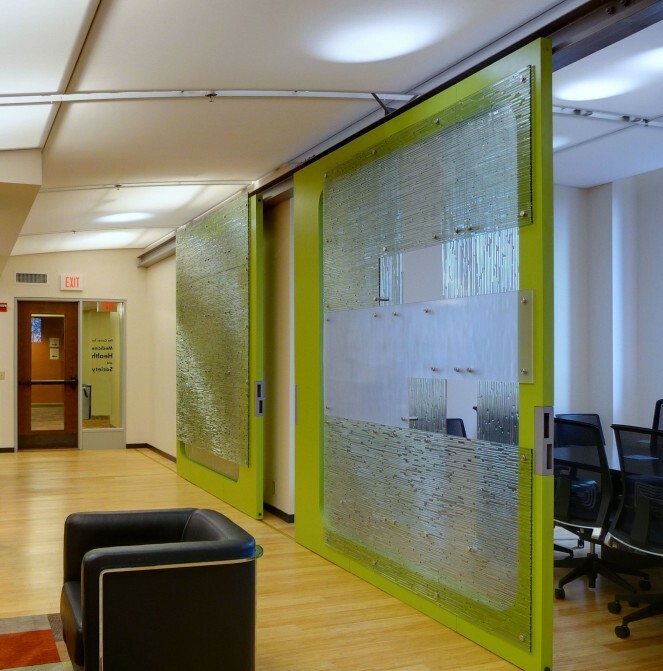 Custom sliding doors roll along a floor-mounted track to separate the conference area from the common room while allowing light to filter through.